There are some blogging opportunities I really look forward to each year, and I was so excited to be able to work with Proven Winners Direct again this year. You may remember last year that I received a beautiful DIY hanging basket that grew better than anything I've ever had, and was able to give one away as well. This year I was thrilled to hear from them while working on planting some new bushes and re-doing our front porch area. They wanted to send me four gallon containers of the exclusive At Last roses. While we'd just planted butterfly bushes and coreopsis, I knew just where I wanted to add in some gorgeous roses. I considered sharing them with my mom, but after having torn up everything around our front porch at Mothers' Day, we had plenty of room. It was almost instant gratification - within a week I had a huge box with holes in it placed gently on my favorite porch chair, and was grabbing my gloves to start planting these thorned beauties. Having flowers shipped always worries me, but Proven Winners Direct has it down. The box is super sturdy, and the gallon planters are safely divided from each other so everything looks like I could have carried it out of the nursery myself. I actually had to put in some effort tearing the box down so I didn't get all stabbed up with the thorns while trying to remove all four plants from the box. Then they had plastic carefully tied and taped across each pot so the soil stayed put during transit. Super impressive, and safely delivered. These three pictures are my real At Last roses, and trust me, I'm no green thumb. I hurried to get my four plants in the ground before the rain came that day, and I've fertilized them a couple times, and tried to water every day. These flowers just keep coming! The corner with the three plants looks best first thing in the morning (when I'm not typically out to take a picture! ), and the other one glows after getting the morning sun for a bit since it's at the other end of the porch. To keep it looking great, simply prune back by at least one third its total height each early spring, just as the new buds begin to emerge on the stems. Make your cut just above a thick, healthy bud, as these produce the most vigorous growth. It can also be fertilized at this time with a granular rose fertilizer. Want a chance to win your own four gallon At Last roses before you can buy them in 2018? 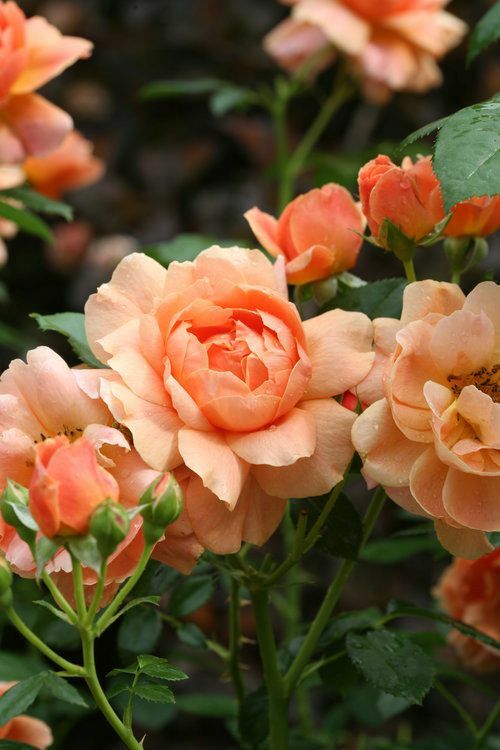 Those who win a rose bush should be willing to share what they will do with it (give it to a friend or an interesting landscape idea) by posting a photo using #atlastrose and tagging ‘Proven Winners Direct’ on Facebook. This will enter you for a chance to win more roses! To enter, comment here with your favorite feature of the At Last roses! Please leave your email as well, as I need to be able to contact you for more information when I draw a random winner on Tuesday, July 11 at 9pm ET. I received these gorgeous and fragrant roses in exchange for my unbiased review. Oh now this is interesting. I love flowers, but they don't love me. I have what some people call a black thumb. I tend to kill everything I plant. But I really enjoy what neighbors plant and keep alive every year. Very pretty. I love the color. I have a few blogging things I can't wait for each year. I adore Salute to America and BloggyCon. I love the easy care no spraying. Love fragrant roses. I love how long blooming these roses are. Love the easy care. This mama of 2 has no time for maintenance. Entries are now closed :) I'll be contacting the winner via email shortly. I would love to have a few rose bushes to add some color to our backyard. My grandmother had rose bushes all around her home, and they always remind me of her. I love that the blooms will last from spring through frost.